For More Information About This Listing, More Photos & Appointments, Please Click ""Go To Listing"" Button In The Realtor.Ca Desktop Version, Or Click The Multimedia Button In The Mobile Device App. This Listing, More Photos & Appointments, Please Click ""Go To Listing"" Button In The Realtor.Ca Desktop Version, Or Click The Multimedia Button In Mobile Device App. 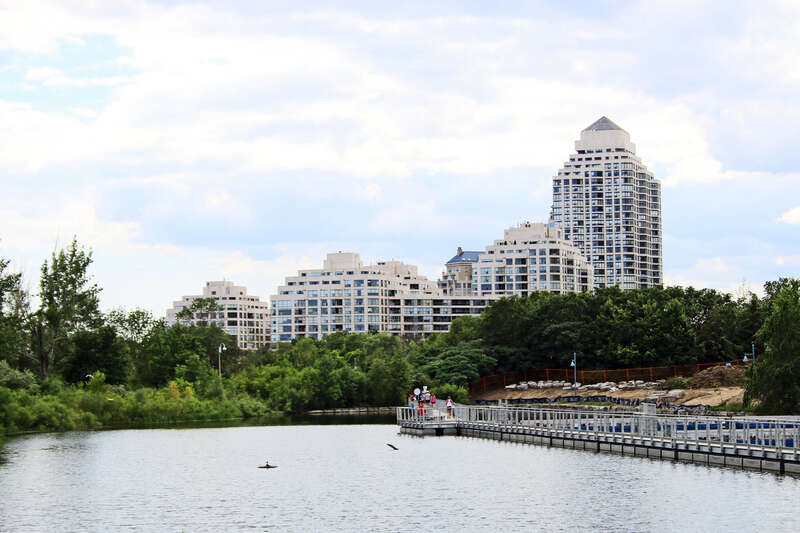 Stunning Lake Front Bright 1 Bedroom Unit With A Breathtaking Water View. Large Balcony With A W/O To Living Rm And Master Brm, Modern Kitchen With Granite Counter, Stainless Steel Appliances, Upgraded Hardwood Floors. Amenities Feature: Indoor Pool, Jacuzzi, Sauna, Whirlpool, Spinning/Yoga + Exercise Room, Sports Lounge, Bbq Area, Cyber Lounge, 2 Guest Suite, Car Wash. Minutes To Downtown Core. Steps To The Lake. Gorgeous Sleek Glass Tower Offering Spacious 1 Bedroom With A Very Large Balcony. 9Ft Ceiling. Amenities Includes Indoor Pool, Whirlpool, Sauna, Aerobic Area, Fitness Room, Sports Lounge, Bbq Area, Cyber Lounge. 24 Hr Concierge. Steps To Bike And Walking Path On Lake. Easy Access To Ttc & Downtown. * One Bedroom + Study Unit * 634 Sq. Ft. With Open Balcony * Wood Floor Thru-Out * Close To All Amenities: Metro Grocery Store, Banks, Shoppers, Starbucks * Close To Major Hwy * 24 Hrs Concierge * Excellent Facilities.